A lot of familiar faces return for the Red Raiders in 2016, highlighted by their senior duo at 106 and 113, Alex Erven and Teddy Smith. The 4-year starters have both qualified for the Region tournament, and have combined for 115 wins, with Erven at 60 and Smith at 55. They provide a strong presence down low for Keyport that, other than junior returning starter Sean Walsh, looks like it will be comprised mostly of sophomores and freshmen. Up top, Kenny Harrigan quietly had a nice 2015, registering 17 wins. He, along with returning starter Kyle Lewis and Dan Ladjack, who missed the 2015 season, provide the senior leadership in the upper half of the lineup. Austin Rose, Jarrett Hourihan, Zachary Frick, and Erik Nellis all saw plenty of action as sophomores last season, and should show marked improvement in 2016. The Red Raiders were hurt last year by forfeits that cost them a few matches they probably could have won. With a nice group returning, and the addition of some underclassmen, fielding a complete, or close to it, lineup should allow them to easily improve upon their win total from last season. As usual, one of the dates to circle on the calendar is the Raiders annual matchup with rival Keansburg on January 6th which is always a fun atmosphere. 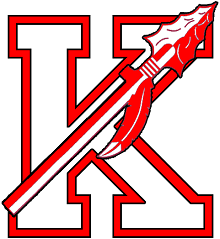 On the individual front, Keyport has not had multiple District medal winners in the same season since 2010, when Greg Velasco and Jake Corsi both advanced. They have a strong shot at snapping that slide this year with Erven and Smith, as well as Harrigan.